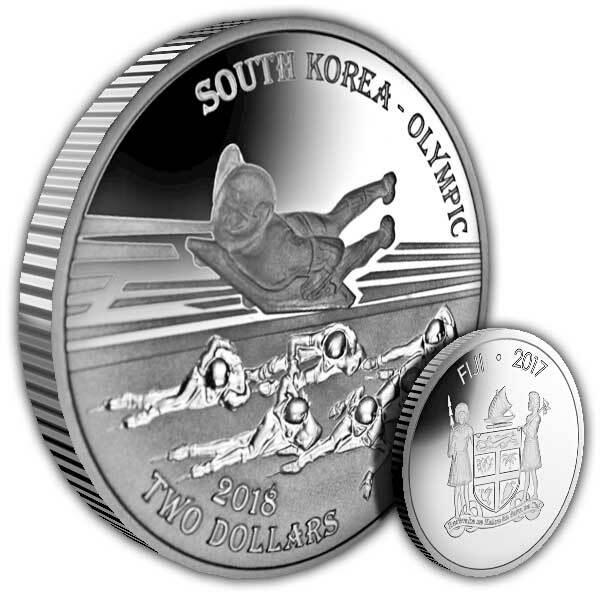 The reverse of the 'Ice' coin is split horizontally and includes 2 of the most popular sports, Bobsleigh and Figure Skating. A single Olympian is seen taking a trip at speed down a track on a Skeleton and 5 Figure Skaters are seen skating in unison. The sports have been segregated using different strategies on each sport. The upper sport is shown with the professional athletes frosted in relief with a polished background. 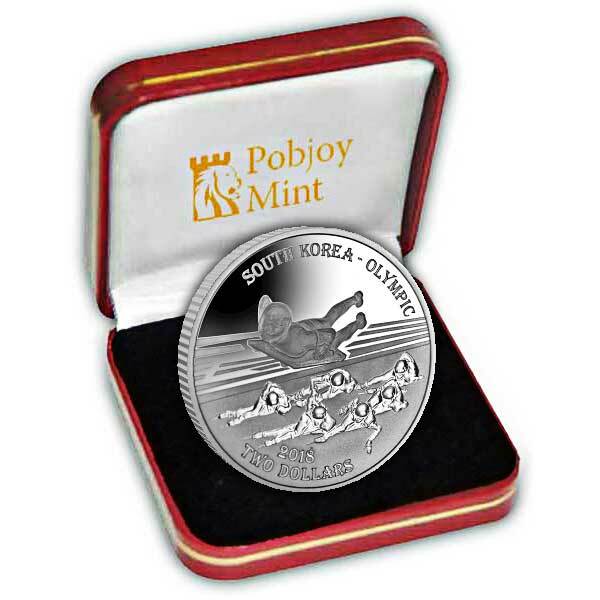 The sport revealed in the lower half of the coin makes use of a reverse icing method which has the professional athletes polished in relief which the background frosted which provides the impression of the snow or ice upon which the sport occurs. The obverse features the Fijian Coat of Arms a heraldic design consisting of a shield with the Cross of St. George, Fijian Warriors, a canoe and a Lion on a spectacular proof background.